Climate Claim: Now Alpine Tree lines May Need Adjustment | Watts Up With That? 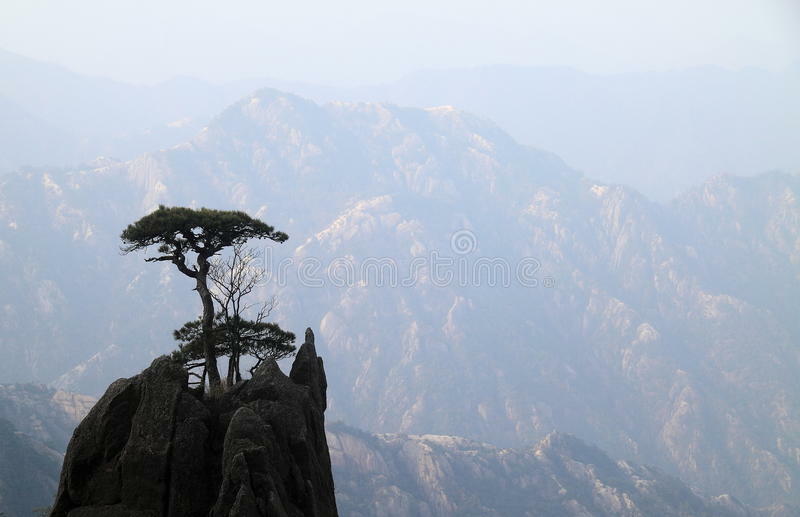 h/t Dr. Willie Soon – a study into why alpine tree lines haven’t kept pace with adjusted global warming measurements has concluded that the trees are being prevented from colonising higher slopes by unspecified soil chemistry issues. Researchers have discovered unsuitable soil at higher altitudes may be halting the advancement of treelines. This finding dispels the commonly held assumption that climate change is enabling trees to move farther uphill and northward. The researchers looked at plant growth at higher altitudes in the Canadian Rockies, grew spruce and fir seedlings at varying elevations and collected soil samples from the same areas to grow spruce seeds in growth chambers. The tree line issue has been a thorn in the side of the climate alarmists since Russian Scientist Rashit Hantemirov tried to explain Arctic Dendrochronology to the Climategate scientists. According to reconsructions most favorable conditions for tree growth have been marked during 5000-1700 BC. At that time position of tree line was far northward of recent one. This period is pointed out by low interannual variability of tree growth and high trees abundance discontinued, however, by several short (50-100 years) unfavorable periods, most significant of them dated about 4060-3990 BC. Since about 2800 BC gradual worsening of tree growth condition has begun. Significant shift of the polar tree line to the south have been fixed between 1700 and 1600 BC. At the same time interannual tree growth variability increased appreciably. I can understand dumping a tree straight into poor quality soil is bad for the tree. But history suggests colonisation occurs rapidly in a natural setting when local temperature changes make a location more suitable for plant growth. Excusing the lack of colonisation of higher slopes on a large scale as being due to “unsuitable soil chemistry” seems pretty flimsy. Yes, but at the same time, they are saying there is no evidence tree lines are moving north. it’s a myth. and they have to throw in something for the alarmists. They claim the cause is soil chemistry because the other explanation is that it just isn’t as hot today as in yesteryears, when the treeline was much farther north, and its barely been warming for the last 20 years or so. If its not warming for the last 20 years, or warming so little that a human being can’t tell the difference, then why expect the tree line to move? They try to explain away the lack of treeline movement as soil chemistry because everyone knows it’s the “hottest year evah!” and going to get hotter and the trees should be moving north under that CAGW scenario, so the explanation has to be something other than “it’s just not that warm”. What we have here is the cognitive dissonance of somebody who was trained in the scientific method, but also is a fervent believer in the CAGW religion. The dogma says that it got warmer, and we certainly wouldn’t even think about doubting THAT. It would be like having the pope look for evidence that there is no God. (Well, current pope excluded). We conclude and assume that it was, OF COURSE, WARMER, so how can it be explained that the treeline didn’t move? One option that was a missed opportunity, in my opinion, is that the treeline data is unreliable and “nobody really knows where the treeline is”. But the BS about soil chemistry is probably more than adequate for our local trolls. While agreeing with most of what you say here I don’t get a particularly strong whiff of cognitive dissonance. In the modern paradigm the anthropogenic CO2 warming world is presented as something supported by so much evidence that it is on a par with general relativity or the neo-Darwinian synthesis. I know it isn’t and is in fact precisely on a par with Lysenkoism but nevertheless that is how main stream climate science appears to consider it. So then just as a respectable scientist might perfectly reasonably look for reasons why some phenomenon appears to be anomalous with respect to GR, so some climate scientist would feel entirely justified in looking for explanations for a result which is anomalous wrt CAGW. The bald fact that CAGW is actually a complete evidence-free fabrication is irrelevant as far as this point is concerned. My thought was that they profess their faith in warming but are faced with the nagging suspicion that evidence goes against what they are saying. Kind of like a fundamentalist who takes a literal view of the Bible but has to contend with evidence for dinosaurs. So they twist their thinking around and argue that dinosaurs and humans were created a couple of days apart and recently went extinct. That way they preserve their dogma and salve their cognitive dissonance. Apparently, it’s too warm upslope for the poor trees. Yes, I just realized that I missed that gem in the abstract. The true mark of expert propagandists is that they will not just deny reality but will confidently assert the very opposite of reality. They are no amateurs, they are not satisfied just to explain away the inadequate advance of the tree line by invoking crappy soil quality. They intend to make a virtue of the inconvenient evidence and have us believe that the problem is predominately high soil surface temperatures during the growing season! And of course it’s all very complicated, let’s throw in a few more factors so that we create a theory that is robustly resistant to falsification. There’s also snowpack and soil quality to consider. No mention that cold temperatures reduce evaporation and result in less snowfall. When we do have heavy snows though we will immediately hear about how it’s higher temperatures that increase evaporation, so record snowfalls are due to global warming. Surprisingly, no mention about the dramatic reduction in unicorn droppings that are thought, sorry, known to have fertilized trees during earlier episodes of advancing treelines. At least we have debunked the myth that trees grow better in a warmer climate with higher CO2. You’d think that even a climate scientist might exercise some restraint when arriving at a ludicrous conclusion. But alas, they really are that clueless. Well, there’s a difference between “northward” and “up-slope.” Moving either northward or up-slope reduces average temperatures, but when you move up-slope, the atmosphere also gets thinner, and temperature swings get larger. For seeds and seedlings, cold nighttime winter low air temperatures might not matter much, if the seeds and seedlings are covered by a protective layer of snow. Since “global warming” is predicted to mainly raise cold nighttime winter low temperatures, with little effect on afternoon summer highs, it might not have much effect on seeds and seedlings, in places where there’s snow cover in the winter. I’m no expert, I’m just speculating. I doubt it. Also unspecified soil issues seem like a stretch to me. Specify them or put it in an opinion piece. Did you see the picture Kristi? Why do you doubt it? Because of a picture? It’s not just opinion that the soil properties play a role if an experiment growing seedlings in soils taken from either side of the ecotone results in higher growth/lower mortality in one or the other treatment, with all other conditions the same. I’ve done the same experiment in tropical soils, and the difference was obvious – quite remarkable, actually. You can see its not arid. Soil plays a part for sure but there are many factors involved. AGW science has this need to assign a main culprit and it skews understanding. How can you see it’s not arid, at least at certain times of the year? Because it’s green??? Imagine if a “warmist” drew that conclusion and the attack he would (rightfully) receive! “Skepticism” has a need to keep the rejection of science going, and it skews understanding by assuming that researchers don’t know what they are doing (or they do, and they *intentionally* falsify evidence or draw erroneous conclusions). AGW science doesn’t have that need because it doesn’t reject the science unless it’s appropriate to do so based on additional evidence and improved understanding. Its a general one. The picture tells us their particular location very likely isn’t “too dry” as you put it. Not all the factors they listed are always going to be present. In fact I’d expect they used locations that specifically weren’t “too dry” to eliminate that as a significant factor. AGW science doesn’t have that need because it doesn’t reject the science unless it’s appropriate to do so based on additional evidence and improved understanding. You’re having a laugh. Plenty of the science is shown to be flawed but almost never do the scientists front up and acknowledge error. “Snowflake” Mann is a case in point. Obviously WE NEED TO BRING IN THE TRIFFIDS !!! as it plummets towards our Sun, raising hopes it could become …. … Stargazers may get to see a green comet coming towards the Earth . literary prediction which told of “an unexpected green meteor shower..
Quite right — groves used to be all the way north to Jacksonville, FL in the early 1900s! Tree limits aren’t moving now because warming in the polar regions is in the winter, and summers are still the same. Plants need a warmer growing season to advance poleward. They expect us to believe that the current tree line marks where the soil suddenly goes from good quality to poor quality even though the tree line has been further north in the past. Yeah right. I think that I explained that adequately already, weren’t you paying attention? Fifty years of acid rain has rendered the soil unusable. But it’s a lie that there were ever trees above the current line. That would be impossible because we are experiencing the hottest temperatures ever in the past 9 billion years. Oil interests planted fake tree stumps under receding glaciers in a diabolic plot to discredit Science. They always have an excuse though, for why their predictions have failed. Delusion, however, is running rampant. Ot is well known that white pine are notoriously difficult to grow in a nursery where they have tried every trick, even bringing soil from a pine forest. It is wellknown that you need a forestfire to crack open jack pine cones before they will germinate. A couple of climate duds may not know how to plant a tree. I know the clisci fraternity never walks down the hall to talk to a geology or engineering faculy colkeague about paleoclimate, geoengineering, the economics of alternative energy, how coral atoll islands grow upwards as sea level rises, or how river deltas do the same. The “how hard can it be” approach to practical technical solutions is the preferred method of these wastrels. In itself this slapdash approach to science is prima facie proof its all a fгацd. The trees are no moving uphill or north or south because they can see that there has been no unusual change in the Climate. Trees are more sensible than Climate Scientists as their lives depend on good judgement. There was that one tree that told stories. The professional lives of Climate Scientists depend on good judgement, too. Conducting a study, the results of which may derail one’s gravy train, is an example of poor judgement. It’s a question of getting one’s priorities right. Must be because most high mountain regions have a negative temperature anomaly all over the world. Soils need some time to develop, for example after glacier retreat. Here is a study accompanied by some photos of such a development. Exactly. For example, rain forests also grow on some terrible soils. The fringe creates its own upgraded soil from decaying vegetation from preliminary species growing at the partially shaded forest edge, and so the forest advances. No doubt it is a much faster process in the tropics than it is in the alpine region. It is actually incredible that they don’t understand that, given their field of study. Lichen, moss, fern, grass, bush, tree. Roughly, that is the sequence. If you change your perspective from fixating on soil composition, try fixating on the atmosphere (as plants do) ((pun intended)). The primary nutrient exchange in plants is from the atmosphere, as in stomatal CO2 fixation. CO2 concentration decreases as altitude increases. Could this be the dominant variable with regard to tree line? Do we assume it is soil composition because we have out heads buried in the sand? Does tree line actually indicate CO2 starvation altitude? There is very little actual observational data in this regard. Good point. But I guess alpine conditions are just harsh to trees and that makes the most difference. Sorry, but the CO2 ppm does not decline like that. 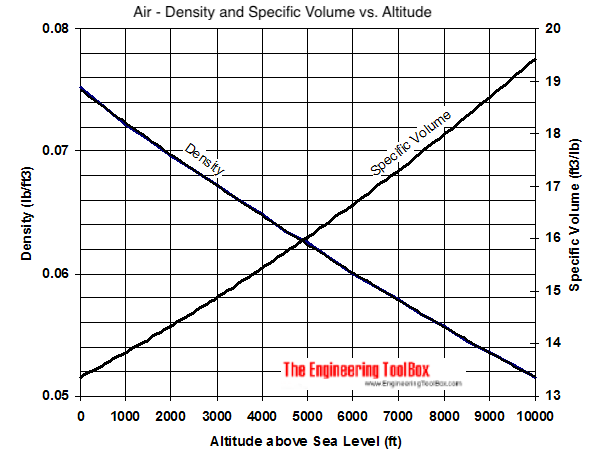 The density of the air changes as a function of altitude, but the relative gas proportions do not. The million molecules occupy a larger volume at the higher tropospheric elevation. That’s all. They ‘should’ sort by mass with heavy fractions settling downwards regardless of density. That’s all. That would be case, if the air was absolutely still. In the real world winds and storms are continuously stirring the atmosphere. See post above. Your understandings of physics are both out if the 18th century. You need MASSIVELY higher gravity than 1g to achieve gaseous separation between heavy and lighter molecules – cf gas centrifuges for Uranium isotope separation. Sorting by mass is not significant. Nope, they don’t. That is one of the differences between gases, which are not condensed and liquids or solids, which are condensed. Gravitational fractionation simply doesn’t happen on Earth, in its atmosphere, until you get the to top of the atmosphere, where the lighter components are moving fast enough to be boosted to escape velocity (11km/sec, if I am remembering correctly). Ordinary gases in air, at the surface are all moving at velocities on the order of 1km/sec, at standard atmospheric pressure. Gases are completely miscible, that is, they’ll mix to a uniform composition, unless chemical or other means exist to prevent it. Oh, those are not atomic weights, either. Those are molecular weights. The atomic weight of nitrogen is a bit over 14, since there are several isotopes that have differing numbers of neutrons in the atoms. The atomic weight of carbon is actually a bit over 12. And so on. Stomatal scavenging is a function of availability, i.e. a plant needs ‘X’ carbons to synthesize a carbon chain. It needs to have ‘X’ CO2 blunder in to the Stomata. At lower density there is less CO2 blundering around, the plant is adversely effected. To assume that soils wag the dog is a stretch. But that proves nothing except that plants at higher altitudes need to adjust their various mechanism and anatomies, such as density of stomata. Humans who live at higher altitudes have more red blood cells to compensate for lower O2 pressure. The world differs in innumerable ways everywhere you go. There is a biological law that states that growth is constrained by the (lack of) availability of the scarcest necessary thing. Stuff doesn’t grow in Antarctica because its too cold. Stuff doesn’t grown in your cellar, because its too dark. Treelines are highly variable depending on what is limiting them, but it is accepted that all other things being equal, warmer temps make for higher treelines. So global warming will shift treelines upwards a few meters. “Treelines are highly variable depending on what is limiting them, but it is accepted that all other things being equal, warmer temps make for higher treelines.” OK.
“If they don’t show that behaviour its reasonable to assume that their locations are not subject to global warming” Since all other things are not equal in the real world, this is not a safe assumption. Mind if I quote you this the next time you claim that since CO2 has gone up and so have temperatures, CO2 must have done it? You can do whatever you want, Mark. You’re a fool who gets pleasure out of insulting others, you add nothing interesting to the conversation, and you can’t hurt or anger me because I have absolutely no respect for you. You are one of those people who tarnishes the whole idea that skeptics actually practice skepticism. Those who know you and your MO and still believe your fantasies about who I am and what I think are likewise fools. So waste your time, go ahead, add your vile, idiotic comments to the thread. I pity you for the blackness you must carry in your heart. By the way, tree line declines in altitude as it moves from the equator toward the pole until it intersects sea level at the boreal tree line. Altitude recapitulates latitude. I have observed this with regard to cloud bases also while flying north/south transects. The troposphere is some 8 Km thicker at the equator than at the poles. More of that recapitulation thingy. True, but the lower pressure with altitude effectively reduces the CO2 molecules available to the tree per unit volume. No? But is there a certain pressure at which plants no longer can absorb CO2 or expel O2 ? One has to factor in the lower pressure at altitude. I know that some plant species will not survive even in a heated structure at altitude due to the lower pressure. You need to write that as ‘340 ppm equivalent’. A reduction in pressure with altitude that would result in an equivalent of 340 ppm when measured at sea level. Or 340 micro-bar. And yes, 340 ppm equivalent would not be enough to cause the death of C3-type trees. You really need to get down to 160 ppm (or 160 ppm equivalent), before the trees will die, forming a CO2-controlled treeline. However, this DID happen during the last ice age, when sea level CO2 reduced to 190 ppm, and so high terrain CO2 dropped to 160 ppm equivalent. It was this reduction in CO2 with altitude that turned the Gobi region into a CO2 shifting-sand desert, and created the dust that covered the northern ice sheets. The atmospheric pressure at 7000 feet is 0.77 atm. That means less CO2 for plants, even if the proportion is still 400 ppm. The tree line cannot respond to an adjusted temperature. Rather than worrying about CO2 they should have been concerned about the local temperature. The very first thing to show about a location is that the temperature has changed for long enough to permit a change in vegetation. Does anyone think this has been done? Next, it is perfectly reasonable to expect that the soil condition above the tree line is the dominant factor after temperature. If a region really is warmer, then permafrost will melt and trees will grow larger. They are already there in stunted form. Maybe that is not as interesting. Regarding the tropical soils, quite right. The nutrients are all in the trunks and canopy. If anything falls to the ground it is immediately absorbed by something living there. Jacaranda trees drop sweet ‘rain’ onto their canopy footprint to feed microbes capable of dissolving soil, releasing P, K and other minerals which make it available when they die. See works by AD Karve and his daughter Priya, both in Pune. Evergreen tap roots are acidic for the same ultimate purpose. Finally someone understands that! But in some cases it could be the dominant factor, period. Tropical rainforest grows on a variety of soils. However, the warm, moist conditions lead to rapid nutrient cycling, with microbes quickly breaking down organic matter (not “dissolving soil”) into (CO2 and) nutrients accessible to plants, which then incorporate them into biomass. Because the organic matter is so quickly processed, and the nutrients are mostly in the living tissue (as you point out), slash-and-burn agriculture is an effective way to release those nutrients – but it’s a temporary solution. Soils get depleted when the lack of canopy leads to erosion and high rainfall leaches nutrients away. The rainforest boundary is comparable to the alpine tree line only in that both may be limited by a range of factors, or combinations of them. All plants need is warmth sunlight CO2 water and trace minerals. The recycling of the minerals in terms of organic composting of dead material is less important that the establishment of a topsoil that can hod water better than bare rock. I’d agree w/you, Leo. Around here in the mid-Appalachians, road-cuts of pure rock (usually shale) will be quickly colonized by specialty trees like Virginia pine & other plants & shrubs (cuts thru limestone will be colonized by Virginia juniper). There’s usually no significant soil on these sites, but cracks in the rocks will hold some water. I think you’d find that it’s not just pure rainwater than sustains these plants. The nutrients have to come from somewhere. Ever hear of Spanish Moss? Rainwater is only pure in models, my dear. Africa feeds nutrients into the atmosphere. That’s a good example of what I’m talking about. There are hundreds of epiphytes (plants that grow on other plants, like Spanish moss) that get their nutrient from rainwater that has filtered through the canopy, picking up nutrients on the way, and from the bark and the organic debris caught in the epiphyte’s leaves and stems (when they have them). Spanish “moss” is a species of bromeliad (as I imagine Wikipedia says), and if you think of the more typical types of bromeliad, it’s easy to imagine how such organic matter gets trapped in the vase-like structure. There are also bromeliads that grow on rocks – but again, their nutrients have to come from somewhere. Some algae species (as well as lichens) can grow on stone and get their nutrients directly from it, breaking it down in the process. These are primary succession plants, the first to colonize a site. To my knowledge there are no vascular plants (those that have solute transport systems) that are able to colonize bare rock and get their nutrients from it. True that rainwater is not pure, but it doesn’t contain available nutrients in quantities sufficient to support vascular plant life. Spanish moss also feeds on dust in the air. You got my upvote for that, Mark. Thanks for contributing. Kristi, minerals from the rocks dissolve into the water. The wet, cool surfaces of cracks inside rocks also harbor bacteria that break down & release rock-minerals that plants need. Hmmm, lost my post. Beng135, thanks, I hadn’t thought of bacteria, but that makes sense. I still have a hard time believing that a vascular plant would obtain enough nutrients from the breakdown of rock, but I could be wrong. Plants are pretty amazing! Plants also need bacteria and fungi, especially in extreme environments. It is amazing where life can exist. For example, on the underside of arctic sea-ice. How can it do it? The ice-surface shrinks upwards five feet in the summer and then grows downward five feet in the winter. But the slime doesn’t ask for my permission. It just goes ahead and does the impossible. It’s the high turnover rate of annuals that builds topsoil. They grow quickly, seed quickly, and die off quickly, while the roots of each successive generation break up course bare rock into finer and finer pieces. This seems especially important on steep gradients like mountain slopes to resist runoff. A few lucky trees and other perennial saplings may get started in cracks and crevices. But I think to significantly advance a treeline, you need a pioneer band of annuals in front of it. So to me, it’d make more sense to check how the annuals are fairing given the conditions. Evergreen trees are subject to different stressors than ground-hugging herbaceous plants that go dormant for much of the year; the health of the latter may not be an indicator of whether trees can survive. Volcanic soils are indeed rich, but it can take far more than a decade for “anything that can grow, to grow.” Plants and other organisms need N, P, and K as well as trace minerals, all in a form they can exploit, and for this reason nutrient cycling is absolutely vital; there is no viable topsoil without this process, just a bunch of dead lichen. Many plants are also dependent on fungal-root associations that aid in nutrient absorption. I liked the photo of the soil developing after the Damma Glacier retreated. It is fascinating how completely sterile soil is slowly enriched. Nature doesn’t need man’s fertilizers, because she has tricks we are just starting to understand. Old-school farmers could either enrich soil by spreading manure, or else by just letting a field sit “fallow”. They didn’t know how it happened that a fallow field grew to be fertilized; they just knew it was a fact. One trick nature has is to use micro-critters, that are capable of utilizing CO2 and CH4 and also of fixing Nitrogen. Here is a paper about an arctic micro-critter that fixes CH4 (methane). I will be very glad when our Modern Age gets over its childish phase, wherein we waste so much time and energy with Alarmist pseudoscience and Fake News, because there is so much in nature that is wonderful, fascinating, and marvelous. You obviously have an delightful appreciation of nature. Thank you for taking the time to write an article introducing WUWT readers to some of its remarkable facets. I don’t think I’m an alarmist (I think Al Gore is a fool and the media coverage often ridiculous), but I don’t believe research into AGW is pseudoscience, and frankly don’t understand why so many people do unless it’s due to the lopsided coverage by sites like WUWT (this article and the comments are a case in point). I find the study of climate change and its implications fascinating. We are seeing a fundamental change in the environment on a human time scale, and that means being able to document processes like range changes, adaptation and new species interactions that in the past we would only be able to study theoretically, in the lab, or as a result of land use change or other direct human interference. We are already able to document many of these changes, such as the response of plants’ timing of budding, flowering and leaf loss, and the northward change in ranges of both terrestrial and marine organisms. The fact that the planet appears to be “greening” is quite extraordinary. The increased growth of many plants in response to higher CO2 has a wide range of potential consequences, from changes in interactions with herbivore through altered plant tissue chemistry to changes in plant competition due to different responses (weed growth is particularly consequential), to effects on human nutrition. Sure..and Unicorns ate my homework !! Wasn’t it dirty snow? So now, it’ll be dirty dirt. What is “rapidly”? I mean, in evolutionary/geological time frames, rapidly is measured in 1000’s if not 10s of thousands of years. But AGW is happening faster than that, in 100s of years. I know you like wear blinders on this, but that’s the real problem, isn’t it? “Bananas” was the first thing that popped to mind when I saw the article. Who said anything about evolution. I was thinking more adaption. Still long term. right. I did. good call. point is that what we are doing is faster than natural adaption (using the genetic variation creatures have) can manage. some species will certainly survive. Many, not. How did the plants survive the higher temperatures found many times in the last 10,000 years? Your need to think rate of change. Slow. Okay. 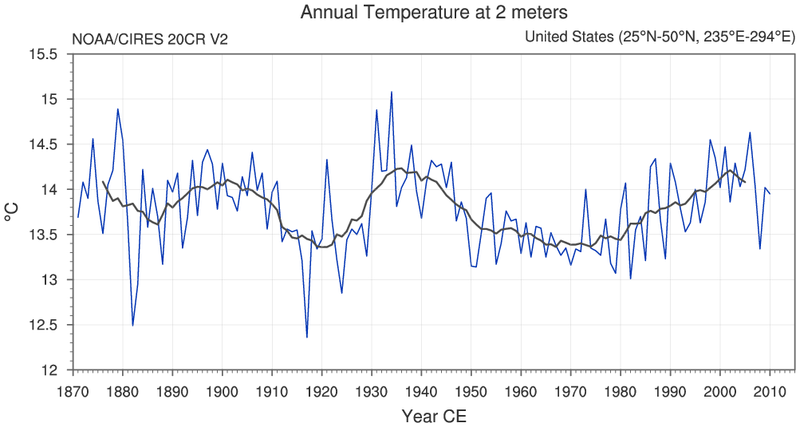 Changing +2 or +3 C per century. Not. You have bought full bore into this evolution adaptation thing…. One, changing 2 or 3C per century is not fast. Two, it’s only warmed up 0.6C in the last 150 years with absolutely no evidence that the rate of change is going to increase. Three, The ramp ups to the last 3 warm periods were as fast or faster than the current warming. Temperatures changed much faster than that at the end of the last glaciation. And, yes, forests lagged. It took several centuries before the forests “caught up” with the retreating ice. Wouldn’t the lag be down to the way trees expand their range? Many have “heavy” seeds which either grow where they fall or require birds and animals to spread them. Said animals and birds will remain close to food and shelter, in the already established trees. There are exceptions such as Willow, Ash and so on but they can’t do the job on their own. That’s not reasonable. The temperature changes 20 degrees day and night plus the seasonal change of about 70 C. Trees live on mountainsides, not in charts. You are drowning in the shallow end of the pool. Totally out of your depth. Oh don’t be so dramatic, it just looks silly. How fast is adaption? It depends on hundreds of factors, from being able to migrate your range to the mutation rate of your DNA to your generational timeframe. A species that lives for a week is utterly different from one that lives for 70 years. And you utterly miss the point – the changes are in AVERAGES, when compared with AVERAGES, and they are GLOBAL. A butterfly in the UK summer of say three years ago might have experienced a life that was colder than its parents. So explain why that means warming is a problem? Nowhere is warmer than the long term average every hour of every day of just one year, let alone five or ten years in a row. You really don’t understand what is actually claimed to be happening. Because of a fraction of a degree change based on a shoddy dataset? Hey. I’ve got this bridge for sale…. Colonizing newly extended habitat of the same type does not involve evolution, it involves seeds and water and one spring. RS: go read up on hydroponics. Plants, even trees, do not really need soil, just water, good sunlight and above freezing temperatures. A bit of soil is nice but it can be any old soil. This “poor quality soil” is a scam. Well they need fungi. It might be a limiting factor for a while. Now if plants were capable of extracting nitrogen from the air PERHAPS organic compost would be a fertiliser . But they cant – only a few plants do so in conjunction with nitrogen fixing bacteria (legumes, mostly) and they ain’t trees. IN short whatever (element) is in topsoil that consists of dead plant matter, is what was in the plants that died, and that could ONLY have come from the original inorganic soil or the air. We can therefore see unequivocally that in a closed cycle (where plants are not harvested and taken away) the minerals in the plants are simply what was in the raw soil and rock to start with. The role of topsoil is therefore much more about water retention than the creation of nutrients that were not there to start with. Cellulose in fibrous material is excellent as a sponge. Bare rock or sand is not. But unless this is an arid region, water is not the critical issue. “But unless this is an arid region, water is not the critical issue. Most alpine areas are arid, so maybe you should give it a chance. And maybe you should recognize that our knowledge of the system may be more limited than the researcher’s. Why did you dismiss it so readily? That’s the problem with assumptions. I don’t see anything wrong at all with the claims, unless I assume that they are made up, and why would I assume that? I just don’t understand dismissing research without even reading the paper. A complete lack of understanding of what soil is and does. It stores nutrients and releases them in a timely way, it buffers acid inputs (precipitation, organic acids, etc), it suppresses disease, it holds water and releases it in a timely way- go read a book. Hydroponics has nothing to say about soil. Really now. It takes 10’s of thousands of years for new trees to grow??? Is that really the excuse you want to hang your hate on? Regardless, half a degree in 150 years is not fast, and is certainly not to fast for plants to adjust to. somewhere along that tree line is the exact same soil with trees growing in it…. Isn’t that the point of the article, that the soil needs to change? Wonder how log that takes. A year or two once the soil starts to be colonized. Plants make their own soil. The article is ridiculous pap betting on the ignirance of true beluevers suspending their critical thinking skills. It’s actually the fungi that create their own soil, they aren’t even looking at the correct phylum to establish rate of biome shift. I think you’re thinking of lichens, which are associations of fungi and algae. But that doesn’t have anything to do with what they are looking at. The soil is there already. lichen spores are tiny and travel long distances. They are among the first thing to colonize freshly created lava or sterile gravel exposed by glacial retreat. Considering they are two things, fungi and algae, I was always baffled about how they could travel long distances and then just happen to plant in the same spot. But apparently they can travel together in little bundles called “soredia”. And they can colonize the harshest barrens, as well as the lushest jungles. There are something like 20,000 different types of lichen, and they cover something like 6% of the earth. It will take a while to stick all that in a computer model and run it. Caleb, what exactly does that mean, that they cover 6% of the earth? Pretty cool organisms, at any rate! I don’t understand your reference to modeling. I’ll believe you when I see you grow a plant on a rock and make soil from it. I can’t help but think of Germany where I have seen cows working above the tree line apparently looking for particular plant types to graze on not found in the alpine meadows and pastures where they normally graze. One who has not spent some time in the Alps would be surprised to see where they find cow sign. Naturally what they and the many various other animal species that live above the tree line or transit there leave behind adds to the richness of what soil there is. I would also note that there are a number of other plants other than trees that only grow in certain conditions above the tree line who’s range would change upward if there was warming going on. Perhaps the best known in the German, Austrian, and Swiss Alps is the Edelweiss which is typically found in a range of 1,700 to 2,700 meters altitude. But there are several others. That’s a good point. Not only do animals spread manure, they transport seed. The part about the warming and other plants assumes temperature is the direct limiting factor. It could in fact be something like pollinator ranges, seed dispersal mechanisms, seed predation, soil moisture content, etc. That said, I bet there are plenty of plants that have moved up. The phenology (time of budding, fruiting, dropping leaves, etc.) of many plants has changed – and some of these records go back hundreds of years. Temps change by 10’s of degrees every 12 hours. How rapidly do you want it? No problem here anyway.. Temperature changes at the altitudes of tree lines are very much greater. Much like a true desert you’ll often be sweating during the day and shivering at night. Add to that that weather changes at those altitudes are quite often rapid and dramatic. In Italy one fine day being chased by the Italian Alpini (Italian Army mountain troops) we climbed from warm T-shirt weather into a full blown white out blizzard in a matter of 2,500 feet. Changes can be far more abrupt on hilltops. But adding to that is wind, lightning, frost and snow. Trees prefer none of that, which is one of the main reasons for tree lines. Conditions can be just too extreme for anything to take root. Sheesh, what a harrowing experience. When we peaked that ridgeline and started down a steep snow field on the other side the sun was shining. The lead climber told us to stay in his trail and I soon learned why. That snow field was like a mine field. Under the blanket of snow were deep rocky crevasses. Some like rocky pits. The snow had bridged them making them into potentially deadly booby traps. Being inexperienced at the time I was shocked when the lead climber reached over with his long handled ice axe and poked and the snow fell away exposing a 50′ deep rocky pit with near vertical sides. It was only then that I saw the very slight shading that revealed where these traps were. There were a lot of them. In my 8 1/2 years on SF teams specializing in Alpine and cold weather ops I came to understand that as long as your on the mountain it has control of your fate no matter how fit and experienced a mountaineer you are. You move and survive on it’s terms. Wow. I bet you learned a lot in the process! I can only imagine the kinds of difficulties you might encounter, and the problem-solving to deal with them. Combat anywhere takes amazing courage and dedication, but combat in a death-defying environment can only be heroic. Reminds me of the rescue divers we’ve heard so much about lately. A suitable habitat for a seed type does not take 10,000 years it to grow, it takes one spring. Seeds are spread by wind and animals far beyond current habitat. Trees normally produce a lot, meaning tons, of seed bearing fruit during their lifetime. Though many of the seeds will either rot or sprout in a few years time, some will lie dormant for decades, centuries or millennia if the conditions are right. So, when the temperature, and more importantly the moisture of the soil are favorable, dormant seeds would sprout in soils barren for hundreds of years. The key here is water as seeds are covered with waterproof hard shell. It takes a lot certain amount of water for an extended amount of time to penetrate that shell and break it open. So, rapidly is really rapidly since the seeds are already there just waiting for the right conditions. A dry barren slope that suddenly gets a good drizzling for a few years could literally become a forest in as little as a decade. At 7,000 feet, nothing happens rapidly. Within a few decades, at least in the Scandinavian mountains. No, AGW is at worst slightly changing certain averages that are measured over decades. No plant cares if the ten year average is 0.2 degrees higher than the thirty year average fifty years ago. You have fallen for the biggest myth of global warming. We can perhaps see something in these averages, but no other organisms on Earth can. Ah yes, how foolish of me. The old “it’s even worse than we thought” explanation. Really something, not skeptical though. I’ll be nice. Um, what problem? Made up problems. The only point of this paper is the word “climate”, mentioned 7 times in the summary and 4 in the abstract alone, otherwise the study wouldn’t have been done. Really? These lunatics would try “preserving” the Jurassic because money. 99.99% of species that ever existed are extinct, thanks to our precambrian SUV’s allegedly. True dat. 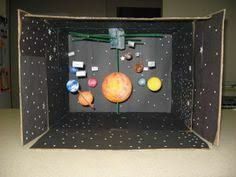 Here’s their model of the Solar System..
where’s the CO2 control knob? Somebody start the clock on the newly created bare rock dry land in Hawaii…. Anybody up for a study of pioneer and colonizing species? If you like this stuff in Hawaii, you will love what they have going on in Iceland. We don’t need no stinkin’ evidence. We got models. I was looking around Hawaii last week looking at property prices. Lots there for sale at super prices for some reason. Google maps has previous lava flows mapped and dated. It’s very obvious where those flows where, and dates are right there on the map. It’s pretty obvious that sterile rock flow becomes covered in smaller bushes and scrub within 40 years. The older flows are covered in trees. …most favorable conditions for tree growth have been marked during 5000-1700 BC. At that time position of tree line was far northward of recent one. That sounds very much like a Medieval Warm Period to me. It sounds like a warm period, but the medieval warm period was later. Hey ReallySkeptical, how many “tens of thousands of years” were there between 750 and 1450? I guess that all of the soils suitable for those trees got leached away by “Acid Rain” in the past 50 years? Is that the explanation? Come on, you can do better. Your arguments are only absurd today. We’ve seen much more ridiculous claims from you. Deeply disappointing. Q: Why aren’t alpine tree lines moving to higher altitudes? A: There isn’t enough atmospheric CO2 available at those altitudes yet for alpine trees to survive there. Water! Water normally flows downward thus making higher slopes dryer. Almost 30% of the mass of trees come from water while 70% comes from carbon dioxide. Paul, I struggle with that a bit, given that the higher one goes, the deeper the snow levels. Soil conditions were okay then. Who could have guessed…? There was more to Nature than they knew! There’s no problem with forest establishing rapidly on the newly exposed morainic gravels. Isn’t that what we find in these “researchers” skulls? No, that is “Moronic” green Unicorn poop !! So the Northern boundary isn’t moving North because Mann-made gerbil worming, unlike all previous natural warmings, has made the soil unsuitable. Meanwhile the Southern boundaries for the various species have also not moved North (or they would have been screaming about it). And they can’t say CAGW must be improving the soils there, because that would be contrary to the established religion, in which The Devil (CAGW) may do no good thing. “Science” sure has gotten tricky these days. It’s always the same situation. When more thoroughly investigated, the story becomes more complicated. Unless one wants to believe AGW is the cause, no matter the facts, then it’s a simple story. Simple minds gravitate that way. Candy watermelons actually won’t mature without greenhousing here in northern NZ anymore, c.35deg S.. They did until 2007. That ‘Really faux-Sceptical” troll is so blind as not to know that all we do is move its climate zone by putting seedlings under plastic, and it needs no adaptation to grow as in the tropics. False experts using names opposite to their real personae are so easily found out as the children of the father of lies…. Really faux-Sceptical: I should add, that enough CO2 might enable plants to grow at higher altitudes/latitudes on its own. Because cold acts like drought to plants by slowing water uplift via roots (slow down of chemical/physical reactions). So they must decrease stomatal opening-times to avoid dehydration. More CO2 concentration may and I seem to remember does, increase growth in colder /higher zones because that CO2 is of course the prime plant food. Soil nutrients come from rocks, and they are not scarce on glaciated mountains. Ditto beautiful rock dust fertiliser….. The trees didn’t get the memo. The soil does not make the trees, the trees make the soil. As the trees shed and as they die, they fertilize the adjacent ground, making humic soil. This would be the basis of nutrients for other seedlings to colonize that soil. The plants do not walk to new soil, they progressively fertilize new soil and new seedlings then colonize it. Second, there are two tree lines, the upper and lower limit, so if the upper is not moving, there is no basis for the lower limit to not recede, shrinking the tree habitat zone. It only takes a few years for plants to improve the soil. Is there any evidence that the lower limit is moving? Says you. Soils are constantly changing and depending on how different two plant communities are, soils that started from the same parent material can be separated by many decades of change. Sadly the universities have replaced soil scientists and ecologists with GIS cosmeticians and modellers and few people remain who actually understand pedogenesis. Soil is a product of biota, parent material, topography, climate and time. Later seral species can’t just grow anywhere unlike the typically ruderal species that we like to grow as crops. The soil evolves, sometimes over many decades and through a succession of plant communities and this results in a soil ecosystem that is suited to later seral species. If you plop a tree into a soil ecosystem to which it is not adapted, it will struggle. Trees do grow into other ecosystems from the edges- slowly changing soil conditions as they progress. Some may be familiar with the way trees grow into a grassland from the edges of a forest or from clumps of existing trees. On the face of it, this article is remarkable for its ignorance. And the process is still mostly misunderstood because apparently not enough biologists have caught on that it is the microbes and fungi that are creating the proper soil conditions. Essentially, the fungi follow bacteria, create the proper conditions, and cultivate the plants that feed them. Wonderful picture. Where is it from? The foreground looks very like a photo I took of the Lone Cypress at Pebble Beach (I have it framed in my living room). There you go! they haven’t move the goal posts they moved the tree line. Cunning devils. Pure pompous Popery about topics they really do not know much about. The trees always successfully re-colonized warming hilltops before. Plus they make a mighty generic statement for tens of thousands alpine areas based on minimal serious research. Some trees make their own dirt. I’ve seen centuries old trees growing out of granite just below the tree line in the Sierras. This is a common observation all over the Rockies. If the rocks get split by ice cracking, in go the tree roots and find themselves water and minerals. And they grow and split the rocks some more. Those trees living in extreme environments, i.e. that red fern growing straight out of the granite, are very likely inhabited by endophytic fungi. The fungi and the bacteria helping the fungi are helping the plants extract nutrients from such environment. Consider this, bacteria and other microbes have inhabited land for more than 3 billion years, fungi has inhabited land for over 1.5 billion years, the first land plants appeared about 700 million years ago, and then animals finally arrive on land about 350 million years ago. Without the prior, the later wouldn’t exist, and that is the conclusion that studious biologists are coming to, even for ecosystems today. Anyone still looking at the higher orders of life when studying biome shifts are apparently not keeping up with the literature. Even if the utterly impossible were to happen and the rate of warming over the last 150 years were to double, that would still only about 1.2C in 150 years. Or 0.8C or about 1.5F in 100 years. Rough rule of thumb is temperature drops about 1F for every 200 feet change in elevation. So the tree line would need to climb 300 feet in 100 years to keep up. 3 feet per year, quite doable. Beyond that most trees have a range currently that extends over a range of easily 5000 to 10000 feet difference in elevation. That gives the trees thousands of years to adapt. We’ll have run out of fossil fuels long before the trees would be in danger, even under the worst of the worst case scenarios. To put it another way, pine trees thrive from Florida to Maine. 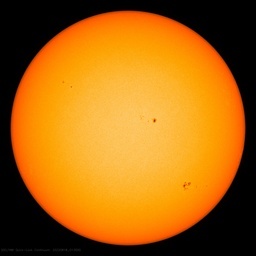 A few tenths of a degree of warming, even if it does occur, won’t be noticeable. Not actually the same pine species in Florida and Maine. I think it is 1 C change per 1000 ft (300 m). I might note a fun fact.. you can generally tell what the dew point is by the ground temperature and the altitude of the base of the clouds using the lapse rate. If you are planning a flight, looking at the difference between the destination’s airport’s temperature and dew point will give you a great indication of how high the base of the clouds will be, hence IFR or VFR conditions. True that. From my airplane pilot classes, way back in the dark ages, the lapse rate is the change in temperature of the atmosphere with height *above the ground*. Sure enough, 90F here at 570 feet above mean sea level would be a bit higher if my location was sea level, but it isn’t and the air temperature that counts is the one at the airport, since runway length and density-altitude matter if I am going to try to take off with the load that I am carrying. It actually varies on RH%, Dry air is 5.5°F/1000′, moist as low as 3°F/1000′. Conditions can exceed the dry lapse rate. Shocking! I mean tree lines have only been adjusting to climatic change since the Carboniferous period so one can understand his alarm. I think that the admission that the climate change narrative is not as simple as previously proposed should always be welcomed – especially in the context of tree growth. This looks like a powerful hint that the warming trend seen in our temperature records has been exaggerated. It’s interesting, when one thinks of it, that pointed / puzzled questions haven’t (apparently) been discussed by climatologists about this inconvenient fact. A cynical person would suspect that the anomaly occurred to them—but they kept it under their collective hats for fear of engaging in wrongthink and unsettling things. Therefore, our side should make up for this discussion-deficit. Since it’s been documented that trees are growing considerably faster now (thanks to CO2, presumably), it’s unlikely that some outside force is inhibiting the expansion of the upper tree line. If there were, it would inhibit the growth rate of trees in ordinary locations. I am beginning to think that the whole of late 20th century warming is explicable in terms of where actually the thermometers were sited during periods of intense urban expansion world wide. Plus stochastic (well chaotic) natural variation. Well when the stupidity of climate studies is unbound, that’s a safe assumption. In this study, they literally compared the temperature of “control” plots (plots that already had trees) to “test” plots (plots that they literally scared and then threw seeds down) and found that the control plots had a lower average annual temperature. Then they concluded that the advance of the subalpine environment is being slowed by higher temperatures in the alpine system. What they actually found is, that shade lowers maximum temperature. Aren’t you glad that tax dollars are funneled to super geniuses like this? Exactly, this is strong evidence the surface temperature record is flat out wrong. Why am I not surprised we’d get denial from Mosher. I’m only surprised that it took him this long to chime in. Perhaps this topic wasn’t in the standard troll pak, so he had to wait for the expander pak. The experiment suggests that treeline may be influenced by more than climate. That’s why proxies are noisy indicators of climate. It doesnt mean we cannot learn ANYTHING from proxies, but rather it means our understanding will be conditioned by our assumptions. Nothing new here either. So the HS accounts for this how? SIMPLY “excuse” the lack of colonization on soil. So the post is wrong, wrong as in wrong. It would be rational for you to admit the fact the poster got it wrong, AND THEN move on to whatever argument you want to make about the HS. PCA was fucked up. So defensive of their own team that they cant admit to any mistake. Did the poster get it right or wrong? wanna debate science? cool, go! explain how roger knight and I are wrong and how the poster is correct? You wont because you know the poster got it wrong. So you’re saying that the study is even worse than the poster makes it out to be. I agree that the poster didn’t quite get it right, they should have lambasted the study even more than they did. Establishment limitations observed in the field were placed in context with the effects of soil properties observed in a parallel experiment. So they placed observations in context with a “parallel” experiment, aka, a statistical model they pulled out of their arse — climate science! Didn’t read the entire article. Thank you for pointing out the conflict. The poster framed the critique incorrectly. The HS relevance is that an important proxy for Mann and the derivative cluster of HS’s is tree growth. Now it turns out that tree growth is more complex than temperatures. As skeptics have pointed out for a long time. It’s harder for me to believe that your reading comprehension is poor, than to accept that you are simply trolling! Yeah but Steven, two of the things are climate constraints! The poster got it right and you got it wrong…wrong as in wrong! It doesnt mean we cannot learn ANYTHING from proxies, but rather it means our understanding will be conditioned by our assumptions. Conditioned by our assumptions? Wrong. It means we learn NOTHING from proxies except as determined by the assumptions underlying those proxies and their analysis. This is made worse by post hoc selection. Assume warming, get warming. Coming from a guy that probably believes the hockey stick reconstruction, I found that claim quite ironic. First they had to get rid of the Medieval warm period, now the instructions have gone out. Get rid of the proxies. Anything that contradicts the narrative of CO2 controlling climate must be eliminated. All the pal review papers that money can buy. Just one of the possible major errors they made in this “experiment”. It’s too bad that good comments like this are buried by junk comments. There are countless possible major errors. That doesn’t mean they made any of them. Leaving out of consideration (of course) trees which thrive in nearly un-adulterated rock. One simple question. Did trees grow in these “unsuitable” areas in the past? If so this paper is BS. Thanks tty for confirming my BS detector is working correctly. Bitter&twisted, you completely disregard the possibility of change in conditions over time, such as those produced by glacial scouring. If the treeline hasn’t shifted in the Canadian Rockies the explanation is almost certainly that climate hasn’t warmed there. Of course there are. Otherwise there wouldn´t be a treeline there! They never are. Forest development always lags climate change. Their supplemental information suggests that the field experiment portion of this paper is based on a single growing season of data. This is junk science on steroids. If that is true it is most definitely junk science. At the treeline it takes several years in a row with unusually good conditions for a new seedling to establish. This is easy to see by studying the age of trees at the treeline, they all belong to a few age cohorts, that got started when there was a series of good years. tty, why is that idiotic? It’s saying that establishment at the ecotone is partly due to seed limitation, while establishment beyond the ecotone is due to something else. There is no “of course there are” other constraints, since seed availability could be the single limiting factor. If climate were the only limitation on forest development, you would expect to see signs of range expansion (seedling growth in new areas) pretty much in lock-step with climate change. But there are so many other potential limiting factors that it would be very surprising indeed if this were seen in all or even most cases. It is idiotic because seeding trees are present at the treeline, so seed availability couldn’t be the only factor since seed are in fact available. Not if seed predation is a factor. Herbivory apparently was higher at the ecotone than above it, so why not seed predation? Besides, they didn’t say seed availability was the only factor, they said it was at least partially limited. And how do you know the trees are setting seed at normal rates? Perhaps the conditions are just a wee bit too stressful (unlikely hypothesis, I know). I don’t object to your objection so much as I object to the “idiotic” part. None of us, as far as I can tell, has actually read the paper. Maybe the sentence is elaborated in the text, and makes sense. There’s too much bashing here of research that no one has read, IMO. For all I know the paper is junk, but I’m not going to assume so based on a PR and abstract and being told it’s junk. Perhaps more apropos would be ignorant than idiotic. It is not so simple. Trees are complicated creatures. Botanists have found early medieval trees stumps under LIA’s moraines in high altitude mountains of French and Austrian Alps. Some of these stumps have been dated before year 1000 AC. In these times, all the glaciers of medium altitude still currently existing had disappeared. Yet tree growth is being effective in arid regions do to increase CO2. Funny how trees growth can increase in bad soil conditions in some places but not others. Just another BS excuse. I do like the craic on this one (126 comments so far) – folks getting their hands dirty. With temperature, what actually *is* going on? Reason being that 5 degC is the temperature at which most bacterial activity ceases. Isn’t that a crazy coincidence, that is the temperature most plants become dormant, typically for over-wintering. Could there some sort of symbiosis going on.? Plants & soil bacteria? High mountain ‘soil’ will be made of fresh rock – it will have a full complement of all that plants need. Its composition will vary certainly but Ma Nature has an epic selection of plants to suit every occasion, a lot of them are trees. Maybe these researchers should have tried a different variety of tree. Did they take any measurements of soil temperature at 1, 2 or 3 feet depths? Did they account for Ma Nature has ways & means of spreading goodness around. This is what dust storms are all about. It is true that 40 millions tonnes of Saharan dust land on Amazonia every year and without it, would probably just a big a desert as the Sahara itself. Other things, forest fires, spread huge amounts of goodness for vast distance. Soot is a very good soil conditioner, especially for heavy clay soils. If soot can make it to the Arctic and melt the place, getting some black up onto an Alpine hill is an exercise in triviality. And anytime you/me or Ma Nature burns anything in an oxygen/nitrogen atmosphere, we make water soluble nitrogen compounds. Ambrosia for plants and bacteria alike. Just like us, with our hi-carb diet, they are constantly starved of protein. Nitrogen helps with that. Ever been to The Canary Islands? A volcanic island chain puffing up off the floor of the Atlantic. The newly emerged rock there is the stuff of nightmares. Black. Shiny. Glassy. Hard as Hell. Initially forms itself into a landscape of broken glass shards going from inches tall to dozens of feet high. Impassable even for Sherman Tanks, let alone ‘things that bleed’ like us. Epically hungry plants, not unlike tobacco. They are *so demanding* of the nutritional status of their soil yet they grow like triffids on the Canary Isles. There is a place somewhere, an evergreen forest where many of the trees are standing on sizeable archways – of their own roots. The base of the tree might be 4,5 or 6 feet above the ground. Reason being that seed, falling from living trees will land (subsequently germinate) on the trunks of their fallen forebears. They throw roots down to reach the soil. The forbear subsequently decomposes and the new baby tree is left ‘standing’ on thin air, supported by the arch of roots it put down either side of the old tree. Where is that place. Anyone? They sometimes don’t even need soil. Ain’t that neat. Tree lines not moving like the AGW models predict? Why? Maybe it is not really warming as much as the heavily adjusted temperature records of the alarmists would like to indicate. Similar to the dendrochronologist tree ring divergence problem, maybe the recent tree rings don’t show much warming, because there isn’t much warming. We must always consider simple explanations. Looking at minimum temperatures, it already started cooling, globally. Trees don’t like lower minimum temps…. And more trees higher on mountain slopes is a problem, why? Grant money, that’s why. They might be looking for the completely wrong organism that would indicate biome shift, the trailblazer that creates the soil conditions and nutrient pathways in the first place, mycelium and their cohort of bacteria. It amazes me how much we’ve learned about mycelium and mycorrhizal symbiosis being the architects of ecosystems, yet most biologists still have their heads in the trees. A mycelium is a structure, not an organism. Any half-decent plant ecologist/biologist knows about mycorrhizae. If the trees up there are already associated with mycorrhizae, the colonization beyond the tree line would not be limited by their absence unless something about the environment deterred their growth or function. Why is it that you are so sure the researchers are looking at the wrong things? Why are you compelled to think of potential faults with the paper? This is a serious question that goes beyond this one article. It seems to be a pervasive habit for WUWT readers to try to think of reasons to reject research, rather than actually assessing it or simply saying “I don’ know – this could be good research or it could be bad, it’s impossible for me to tell because 1) I haven’t read the paper, and 2) I’m not an expert in the field. As most people know, tree types move up and downslope as the climate changes. As does agriculture. Also, North and South. The sudden turn to severe cooling in the early 1300s did in a lot of people in Northern Europe. Loosing two crop years in 1315 to 1317 caused a die-off of 10 percent. Then it got worse later in the century. However, I recently became interested in original settlements along the West Coast. Particularly BC to Alaska. The Native culture was based upon the large ocean-going canoes. Made out of Cedar, they could carry up to 4 tons of people and gear. No cedar trees–no big canoes. At the max of the last ice advance, cedar trees had retreated to Southern California. And it wasn’t until some 5,000 years ago that they returned to BC. That certain plants are not moving upslope with the supposed warming is probably because it has not been warming for some 20 years. Inventing problems with soil conditions is likely an out for an impractical theory. True. Global Minimum T has in fact been dropping since the new millennium. Of course it is highly likely that there will be unsuitable soil just above the current treeline ……. because iffen it was suitable then the trees would be growing there. As the older treeline descended “downslope” during periods of average temperature decreases, the rain, wind and melting snow flushed, eroded or leached the nutrients, humus and part or all of the topsoil “downslope” over the course of 100/1000+ years. And when average temperatures start increasing in an “upslope” direction, it will take several years before Mother Nature can replenish the aforesaid nutrients, humus and topsoil in its slow, methodical “upslope” progression proceeds. Maybe the particular species of trees involved are incapable of sensing the global average temperature and for some unknown reason, can only sense the specific local temperatures? Oh global warming/climate change, is there anything you can’t do? Image below: Note that the northern treeline has receded by up to 4 degrees of lattitude over the last 10,000 years, depending upon species. And note that during the previous (Eemian) interglacial forest grew even further north. There was larch forest on Ostrov Lyakhova (the southernmost New Siberian Island). One lie is as good as the next, if the soil doesn’t pan out they’ll think of something else. Seems like we’re looking for a horse and finding a zebra. Noooooo… the tree line didn’t move because GW is all hype! So the tree line isn’t changing much. We know that snow cover trend has been roughly static the last 25 years. Yet GISStemp is skyrocketing after adjustments. I wonder what the trees and snow know that climate scientists don’t? The speed at which a population can move up a mountain slope does not necessarily depend on fast genetic changes. In large enough populations there is enough genetic variation to ensure that the genes required to survive the challenge have been there for some time, often as recessives. The changed environment provides the opportunity for the “dormant” gene to increase its frequency. The species still survives, in altered form. ref. ” The Beak of the Finch”. Maybe the tree lines are not moving higher because the earth/globe is not warming overall. Or maybe the Canadian Rockies aren’t participating in the warming trend. If the study didn’t cite the local temperature trend, it was incomplete. It might explain slow movement upwards but not northwards. Here is an extreme example of remanents of a former redwood forest at Arctic Circle Canada 53 million years ago! It was found at a depth of 300m in open pit ore of the Ekati Diamond mine.I can assure yuo that it looks like in the pic below because it aint a California climate no mo’. How do they know where to dig for diamonds in such a desolate location?? It is a Kimberlite pipe. Kimberlite pipes are the only places where diamonds occur (except for alluvial diamonds which come from weathered kimberlite pipes). Kimberlite pipes are however small and hard to locate. For example it is known that at least one is somewhere north of Lake Superior, since a few alluvial diamonds have been found there, but as yet it (or they) haven’t been located. And Sequoia at Ekati is not at all extreme. There were Metasequoia (Dawn Redwood) forests on Ellesmere land, less than 1,000 miles from the North Pole in the Eocene. Just a thought that occurs to me from my Naval Flight Officer days. At 10,000 feet the atmosphere has only 50% of oxygen than at sea level. Oxygen is a “greenhouse gas”, as is carbon dioxide. Wouldn’t it make sense that CO2 concentrations would shrink as well making higher elevations less hospitable to plants that rely on photosynthesis for growth? Trees have more sense than modellers……. Its that simple. Oxygen is not a GHG, or more precisely it is an extremely weak GHG, since like all gase molecules consisting of two identical atoms it has no absorption lines in the infrared. Wouldn’t it be easier for them to just adjust the freezing point of water over time? Do the cuckaloos, the University of Guelph being one of Canada’s chief homes for cuckaloos, not realize that the earth is dynamic and constantly changing? The tree line has moved north/south forever. Vegetation lines also move up and down in altitude. The earth makes its own soil where there previously was none. Tiny plants growing from between new sidewalk sections, or sprouting from recently paved areas. The trees will get their without our help. Soils take a long, long time to develop from parent material to something that will support forests or grasslands. (and some never will ). That’s all part of succession and it’s not realistic to expect that alpine tundra soils will immediately become hospitable to trees just because of a few degrees increase in temperature. Soil chemistry, texture, drainage, etc., along with climate and disturbance help determine which plant species will colonize and survive. It’s basic plant ecology.